Jules Eugène Lenepveu Boussaroque de Lafont, known as Jules Eugène Lenepveu (1819 – 16 October 1898, Paris) was a French painter. 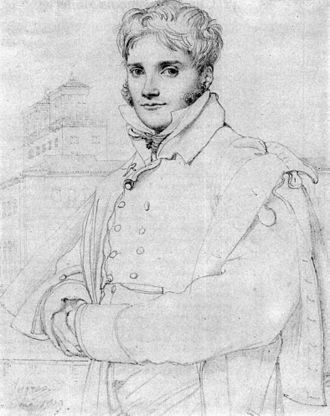 Born at Angers, he studied at the école des Beaux-Arts, and later he was a pupil of François-Édouard Picot in Paris. 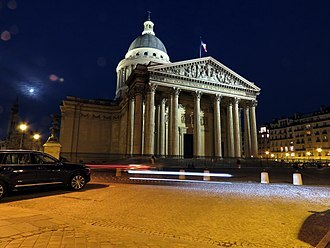 He entered the École nationale. 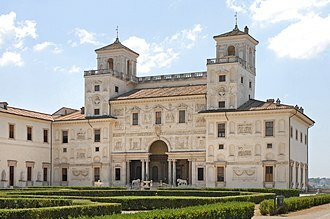 After winning the Prix de Rome, he went to Rome to complete his education. 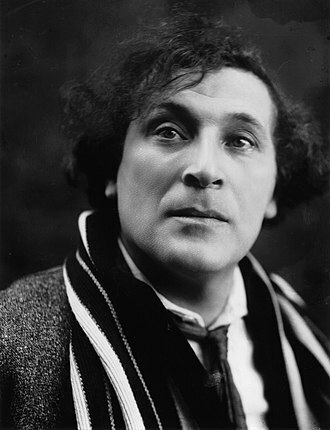 He became famous for his vast historical canvases, including the ceilings of the Opéra de Paris (1869–71; covered by a Marc Chagall work), and of the theatre at Angers (1871). He was director of the French Academy in Rome from 1873 to 1878. 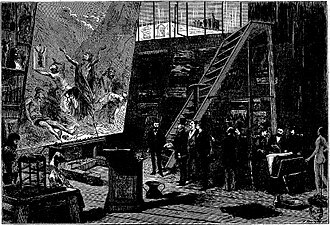 Between 1886 and 1890, he painted the fresco of the life of Joan of Arc at the Panthéon, Paris. In 1900, 2 years after his death, a monument to him was put up in the courtyard of the Musée des Beaux-Arts, and a pedestrianised street in Angers was later named after him. This page is a translation of Jules Eugène Lenepveu. Paul Maximilien Landowski was a French monument sculptor. His best-known work is the Christ the Redeemer statue in Rio de Janeiro, Landowski was born in Paris of a Polish refugee father of the January Uprising, and a French mother. He studied at the Académie Julian, before graduating from the French National Academy, he won the Prix de Rome in 1900 with his statue of David and he produced over thirty five monuments in the city of Paris and twelve more in the surrounding area. Among those is the Art Deco figure of St. Genevieve on the 1928 Pont de la Tournelle and he created Les Fantomes, the French Memorial to the Second Battle of the Marne which stands upon the Butte de Chalmont in Northern France. Landowski is widely known for the 1931 Christ the Redeemer statue in Rio de Janeiro, some sources indicate Landowski designed Christs head and hands, but it was Leonida who created the head when asked by Landowski. He won a medal at the art competitions at the 1928 Summer Olympics for Sculpture. From 1933 through 1937 he was Director of the French Academy in Rome, Landowski was the father of artists, painter Nadine Landowski, composer Marcel Landowski, and pianist and painter Françoise Landowski-Caillet. Charles Errard the Younger was a French painter and engraver, co-founder and director of the Académie royale de peinture et de sculpture. Louis XIVs minister Jean-Baptiste Colbert delegated to him the foundation of the French Academy in Rome in 1666, Charles Errard was trained as a painter by his father, Charles Errard the Elder, a court painter to Louis XIII. The sons long career as an artist in France was interrupted by stays in Rome, going there to study with his father in 1625, equipped with a royal scholarship. He drew ancient works of art as well as figures, reliefs and Trajans Column, soon he became a brilliant draughtsman. After his return to Paris, he worked for different French art lovers and collectors including, among others, during a further stay in Rome, he became acquainted with Poussin and his patron Cassiano dal Pozzo, for whom he painted two pictures. In 1651, according to Stiche, he produced illustrations after Poussins sketches to Leonardo da Vincis Trattato della Pittura, after his appointment as decorator of the royal palace, he received orders for the decoration of the Louvre Palace, the Palace of Fontainebleau, Saint-Germain-en-Laye and Versailles. 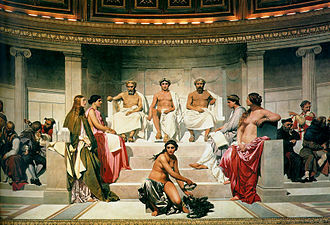 Jean Alaux, called le Romain, was a French history painter and Director of the French Academy in Rome from 1846-52. Alaux was born in Bordeaux, the son of a painter and he received his first lessons in art from his father, but went on to a formal training with Pierre Lacour and with Pierre-Narcisse Guérin. 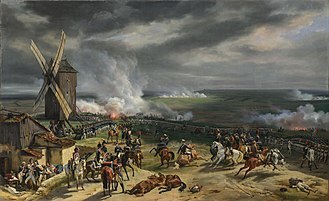 In 1807 he was admitted to the École des Beaux-Arts in Paris, from 1808 he entered works for the Prix de Rome, but his energies were diverted when his elder brother, Jean-Francois Alaux, asked him to help with a large neorama he was working on. 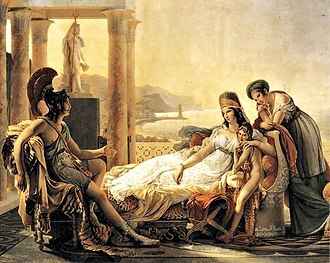 Alaux eventually won the major Prix de Rome in 1815 with a work entitled Briseis weeping over the body of Patroclus and he subsequently became a pensionnaire at the French Academy in Rome from 1816 to 1820 and went on to become its director. Among his fellow artists at the Academy were such luminaries as Drolling and Gogniet, and sculptors such as Angers, Alaux painted at the Academy Diamedes carrying off the palladium and Episodes in the combats between the centaurs and the Lapithes. François-Édouard Picot, L'Amour et Psyché (1817). 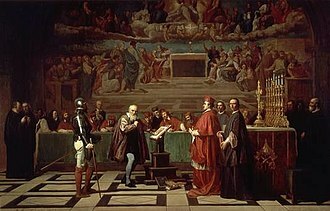 Galileo before the Holy Office. Albert Besnard (1913), photograph by Agence de presse Meurisse. Paris, Bibliothèque nationale de France. 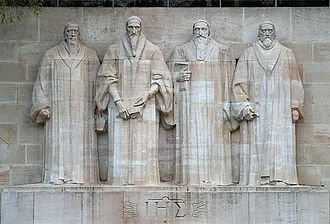 Monument to Francis Garnier (1898), Paris. The Skirmisher by Auguste Arnaud at the Redoute de Gravelle, a military redoubt in Joinville-le-Pont. The statue was taken from the Pont de l'Alma in Paris.